Mystical Warriors of the Ring is back once again, this time with some brand new PVC colors of its popular Goliath figure and Series 2 three-pack! Goliath, which was first available in metallic green at the beginning of this year, and then in metallic black this spring, returns for the summer in two new colors: metallic bronze and glow-in-the-dark white. 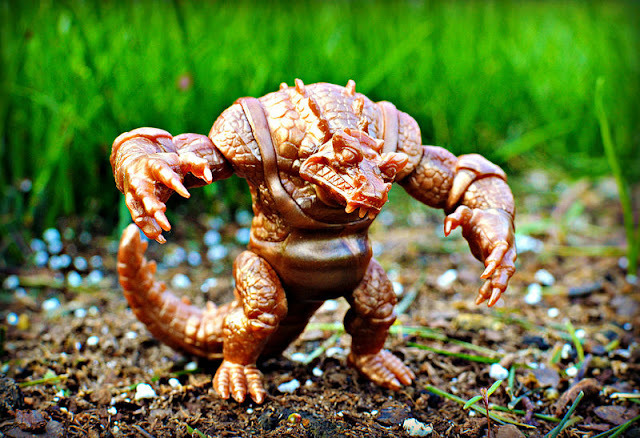 With its Glyos compatibility (which means it has articulation and is made of multiple pieces that can be taken apart and put back together), hefty size and killer sculpt, it's safe to say Goliath is the most popular MWOTR release so far. 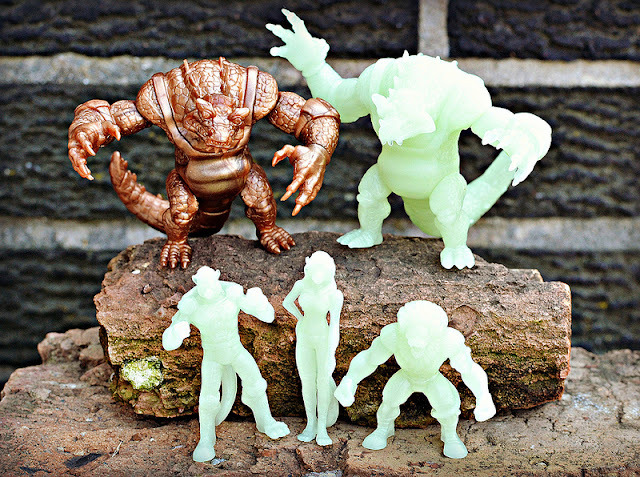 I am sure a lot of people will be happy to be able to put together a whole gang of Goliaths in different colors. The metallic bronze is an excellent color fit for the beastly king that he is, and really shows off all the intricacies of the sculpt. The ever-popular glow-in-the-dark color is now available as well, which is a semi-translucent white color that glows yellowish-green when in the dark. 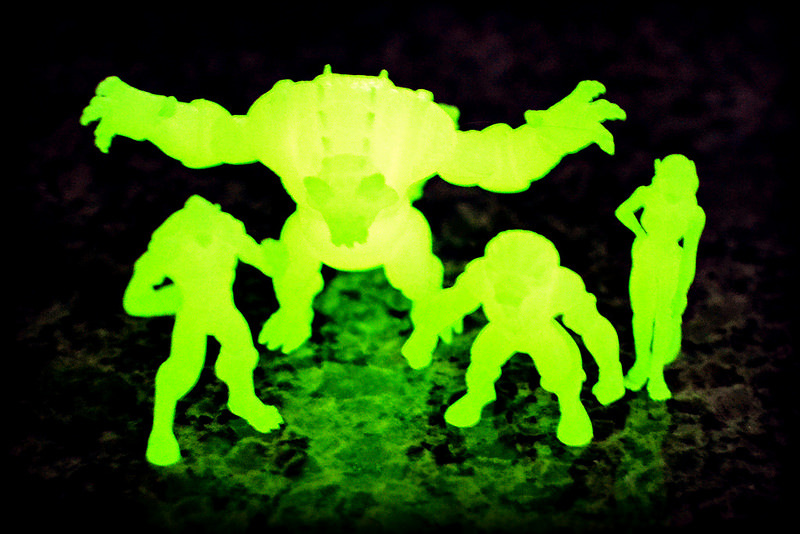 In addition to Goliath, the Series 2 three-pack has also been given the GITD treatment. The Series 2 trio was first released in metallic black in the spring, and consists of Ulric Wolfrom, Yvonne Wolfrom and Leo Corazon/Generations Lion. When you hold them up to the light for a minute and then put them in the dark, the figures glow very strongly and look great. The MWOTR line continues to go strong with new releases and projects, so be sure to keep an eye on mystwarriors.com to stay up-to-date. These look fantastic! I am a big sucker for glow in the dark stuff. They are very cool indeed...and I think every mini figure collector needs at least a couple Goliaths!